_9beb5d3a_ will provide M2M solution based on global roaming services enabling remote terminals to automatically transmit data to the _65e870bc_ technology infrastructure. The SIA network will collect the payments traffic generated by merchants’ wireless POS terminals. The target is 60,000 terminals enabled by the end of the year. SIA and Orange Business Services have signed a collaboration agreement that will enable European and extra-EU banks and merchants to manage payments via mobile point of sale (POS) terminals. 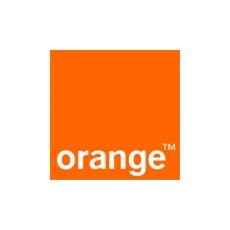 More specifically, Orange Business Services will provide a managed M2M solution with global roaming services enabling remote terminals to automatically transmit data to the SIA technology infrastructure. The agreement will allow SIA to take a significant step forward in the creation of a single operating network at the European level which will collect payments traffic generated by wireless POS terminals and other channels of merchants and then deliver it securely and reliably to the authorization systems of banks, terminal operators and other acquirers. At present, SIA has enabled almost 5,000 mobile POS terminals and plans to reach around 60,000 terminals by the end of the year. These devices can manage transactions coming mainly from European countries (including France, Germany, Hungary, Ireland, Italy, Luxemburg, Poland, Portugal, Romania, Slovakia, Spain, Switzerland, and United Kingdom) and extra-EU countries, such as South Africa. “With our solid track record in the financial services market, Orange Business Services combines a deep vertical knowledge, mobile managed services and machine-to-machine expertise with its unmatched global network reach,” said Helmut Reisinger, senior vice president, Orange Business Services Europe, Russia & CIS.